Toddlers are amazing! They explore and absorb everything around them. 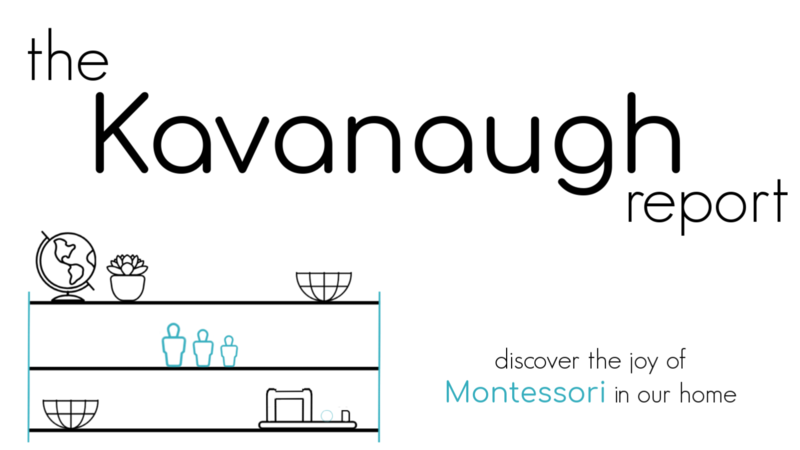 In a Montessori environment, we try to provide as many opportunities to explore as possible. 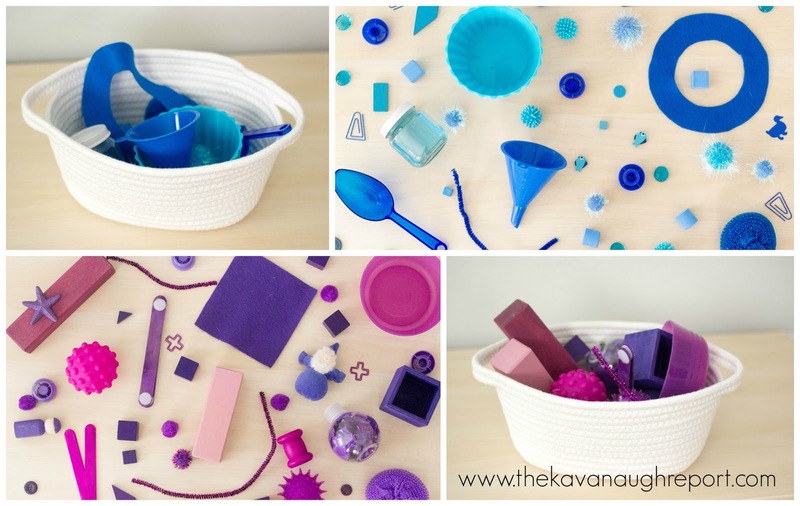 Color themed treasure baskets for toddlers and babies are a great way to do that. A treasure basket is a collection of small items appropriate for open-ended exploration. A treasure basket can literally be made of any random group of objects. I personally really love to do color themed baskets for young toddlers. I think they provide an awesome introduction to colors. However, not every Montessorian agrees. Many think of them as unnecessary. Many question if they really are used in a "Montessori" way or if they are just used to drill colors for toddlers. Or, some think there are more natural sensory experiences available. 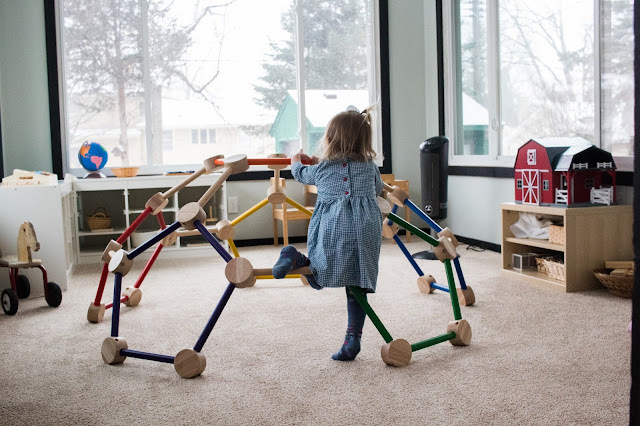 Typically, in a Montessori environment, toddlers are not taught colors. Instead, they absorb them from being in a language rich environment. And, I 100 percent agree with that. Toddlers do NOT need to be drilled on colors. That's not the purpose of these baskets. These baskets are for open-ended exploration. Not for drilling colors, not for memorization. Just for fun. When we have these on our shelves, I just leave them for Nora to discover. When she does explore, them, I let her lead. She may play with things, taste them, stack them, put them together. Basically, whatever she wants. I may say "the red ball" or "the yellow pom-pom" or "you have the pink heart." I keep it descriptive and fun. 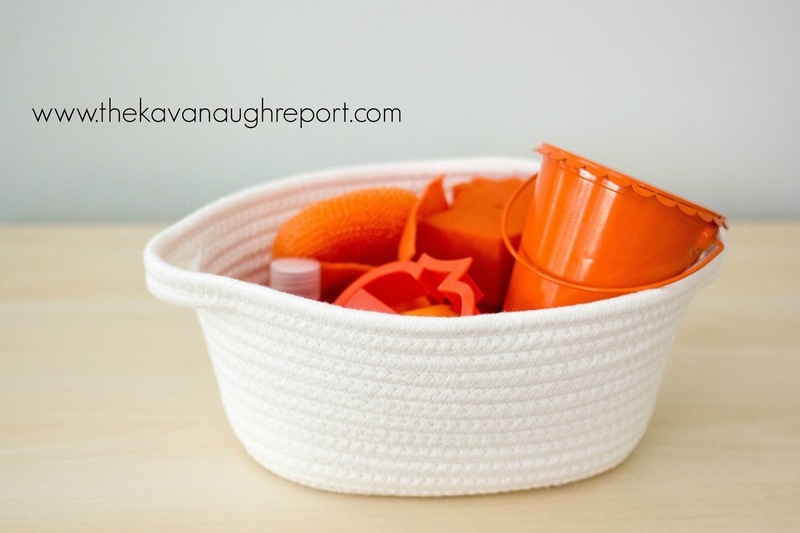 Do toddlers make the color connection with these baskets? Doubtful. They will learn through experience at their own pace. Are they engaged? Yes! Do I think that makes them awesome? Clearly! 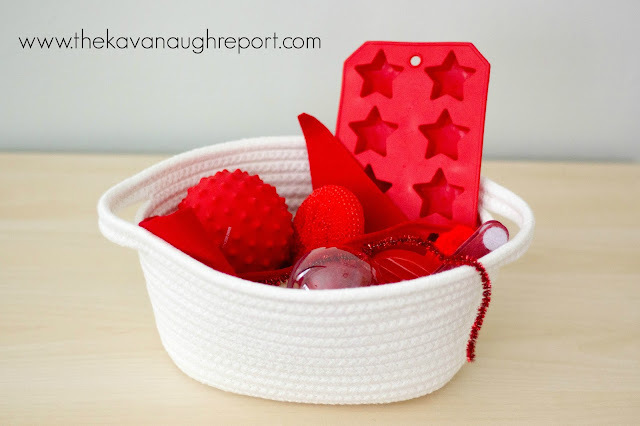 So, what's in my color themed treasure baskets? I try to make each basket interesting and unique. Each basket is a combination of textures, sizes, shapes and shades. 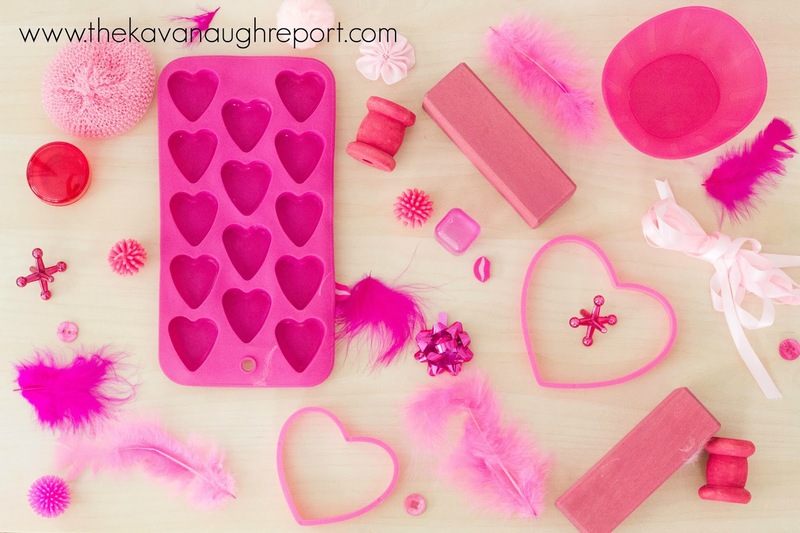 I try to mix some smaller items, some practical tools and containers -- bowls, ice cube trays or cups -- and simply mix it all together. 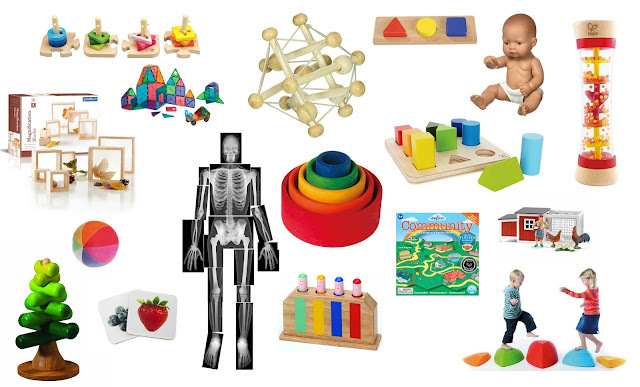 Toddlers are often in the middle of the sensitive period for small objects. By providing a lot of little details, I feel like toddlers are instantly intrigued. But, it's a fine line between creating something that will be used in a constructive way and something that will be overwhelming. Nora can spend long periods of time playing with these. She loves the tiny objects. She wil place them in and out of the containers. Or pour them out. Line them up. Or just ask what each object is. Really she figures out what she wants to do. Each basket is completely unique, but there are some materials that I use over and over. 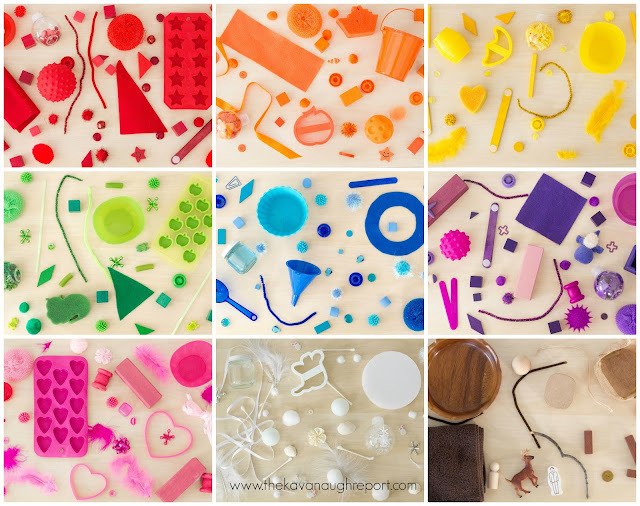 Pom-poms, wooden shapes, pipe-cleaners, and small toys. 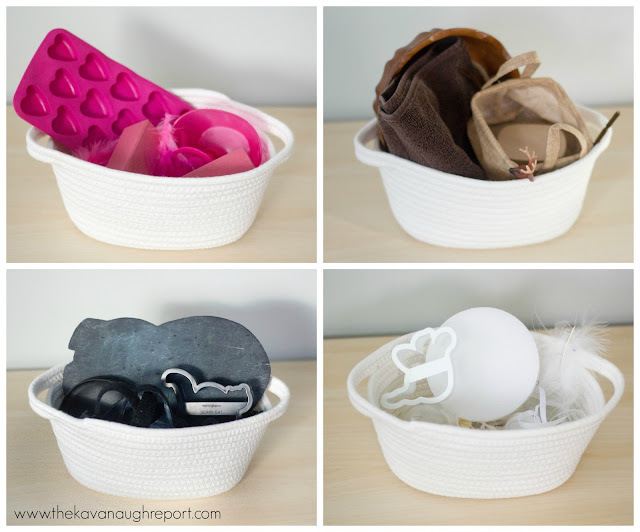 Fabrics, cookie cutters, and feathers also help to fill many of the baskets. Sometimes a heavy block, and light feather make a perfect contrast. Or a rough ball and a smooth baby food cap! 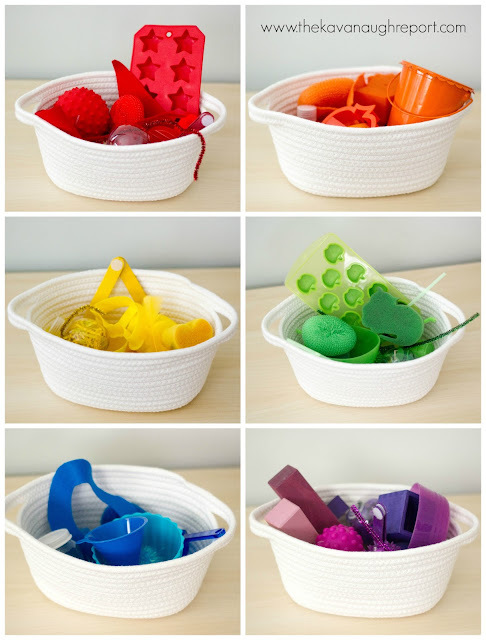 Your own baskets can be made with anything you have! These baskets don't really require that you buy something special -- another reason I love them. 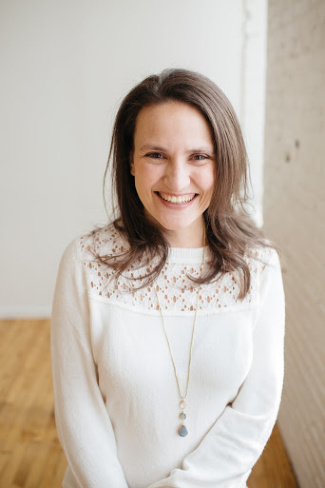 Anything you think your child will enjoy can go in, there's no pressure! If your child is still mouthy, you can use larger objects or try mini rainbow sensory bottles. And, there's no need to use as many objects as I have in these. Feel free to use as many or few as you want. Want a more natural basket? Try natural materials in the same color hue -- rocks, flowers, shells, bark, leaves and water can all be very engaging. Just remember to keep it low pressure and child led! And, those are my color themed treasure baskets! Have fun with them, explore with them, and create with them! Remember your toddler will learn colors at their own pace without being drilled! 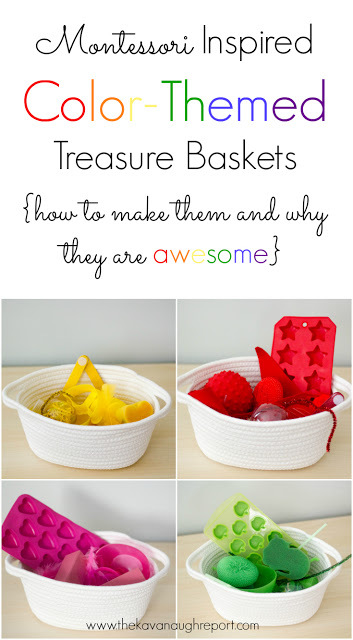 Have you used treasure baskets with your baby or toddler? Do you like using color themed treasure baskets with toddlers?